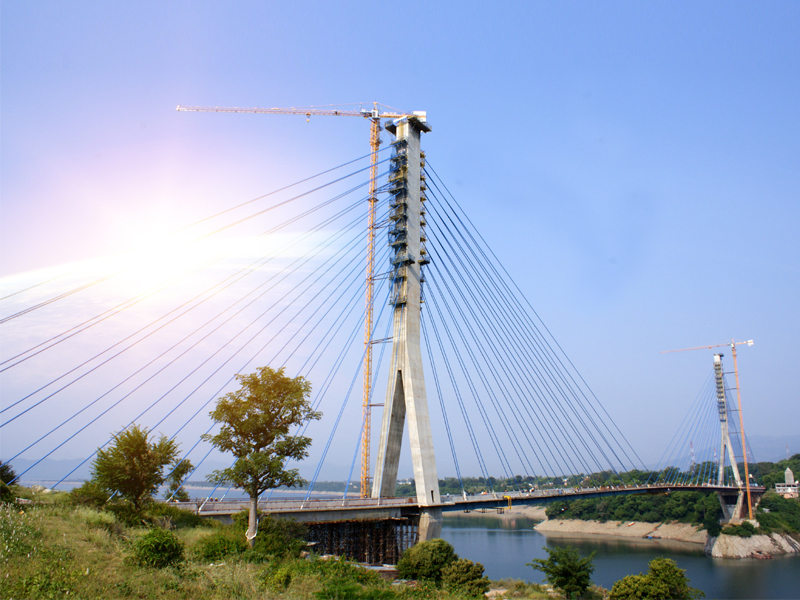 Cable Stayed Bridge over river Ravi at Basoli in J&K | SP Singla Constructions Pvt. Ltd.
Associated Client : Border Roads Organization, New Delhi. Special Features: First of it’s kind in North India featuring India’s 2nd longest span in its category.